Trenton Correctional Institution is a medium security level 2 facility that houses up to 663 young adult male offenders. Inmates are primarily housed in double bunked cells. Offenders are secured by razor wire fencing and electronic surveillance systems. All inmates who do not currently have a diploma are encouraged to take adult basic education and GED courses. Literacy classes are also taught at this facility. Vocational training at Trenton Correctional Institution includes woodworking and carpentry, masonry, and welding. Inmates at Trenton Correctional Institution can receive substance abuse treatment, as well as dental and medical services on site. Offenders can also participate in supervised work details responsible for cleaning local roads and highways. Additionally, inmates can join the "Operations Behind Bars" program which gives talks to at risk youths and adults about the dangers and consequences of a life of crime. 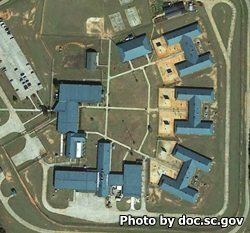 Tenton Correctional Institution utilizes a rotating visiting schedule based on the first letter of the inmate's last name. The first letter of the inmate's last name will determine which time slot they receive. These time slots rotate and so does Friday visitation so you will need to contact the facility for the current rotation. Visiting occurs on Fridays from 4pm-7pm and on Saturdays and Sundays from 8am-12pm and 1pm-5pm.